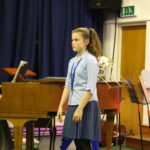 Despite the snowy conditions last week, over twenty pupils from St Joseph’s School, Launceston, were able to participate in the renown annual Wadebridge Festival of Music and Speech. This highly regarded Cornish festival runs for five days and includes competition classes for speech, brass, choral, instrumental and vocal. 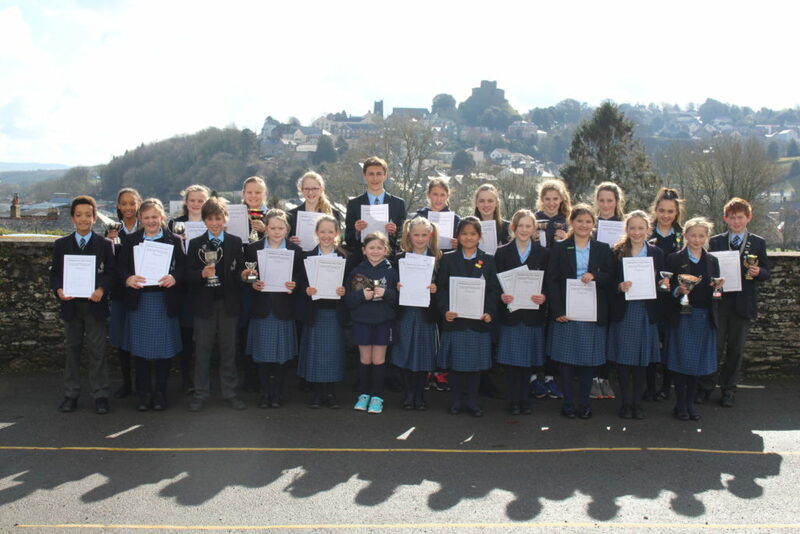 Due to the serve weather conditions the Junior School Choir were unfortunately unable to perform this year and defend the title they won so impressively in 2017, however many pupils managed to get to Wadebridge to participate in their individual instrumental and vocal classes. 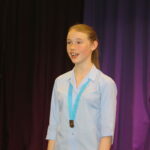 Special mentions must go to Isabelle Thorns (Year 9), Ben Hodgson (Year 6) and Ruby Kirkwood (Year 3) for their outstanding performances: Isabelle and Ben were both awarded the highest mark in the female and male vocal classes while Ruby not only won her class but also took home the Burridge Shield, awarded for the highest mark in Primary and Secondary pupils with under 2 years’ tuition, despite being the youngest pupil to perform. 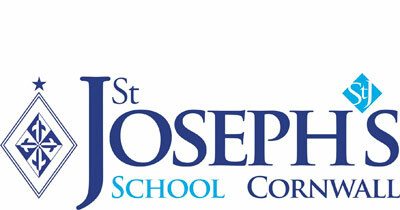 Many congratulations to all the pupils who were able to take part this year and a huge thank you to all the music teachers involved in preparing St Joseph’s pupils and to the parents who came along to support. 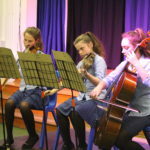 For those who were unable to perform at the Festival, St Joseph’s will be holding a ‘Wadebridge Concert’ in school as we appreciate that the pupils had put a lot of hard work and practice into their performances. 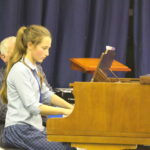 We are very much looking forward to seeing the choir and many individuals perform next week. 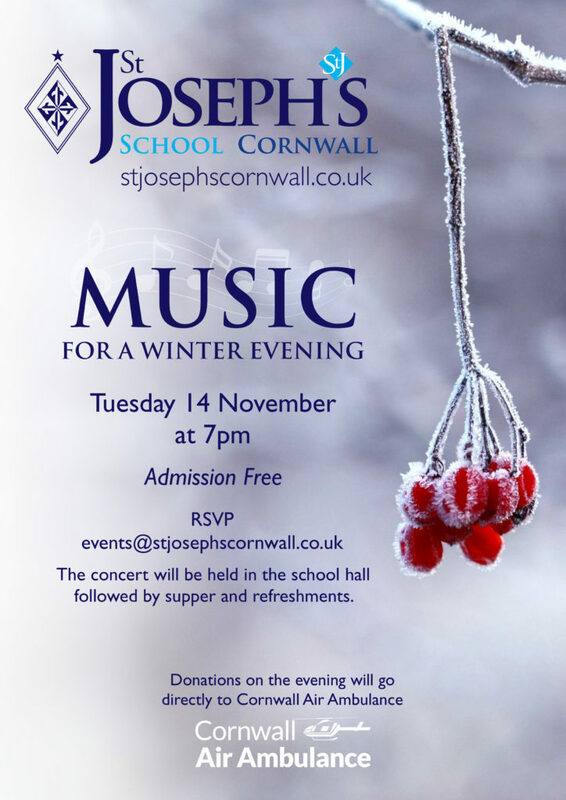 What a wonderful Music for a Winter Evening concert we had in the school hall on the 14th of November! 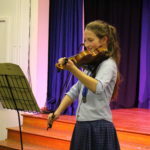 The standard of performing showed the level of commitment from students and their desire to strive for the very best results. All those who sang or played should be proud of their performances – I am very proud of how they all conducted themselves with a real sense of professionalism. 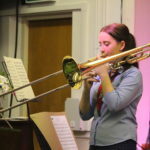 It is important that the students have these opportunities that allow them to grow in confidence and performing experience. I had two very good friends come down from Ely, Cambridgeshire especially for the concert. 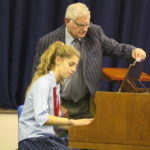 One is a retired music teacher and it was lovely to hear that she was impressed with the level of musicianship. The other commented on the family atmosphere at the concert and the real sense of community. 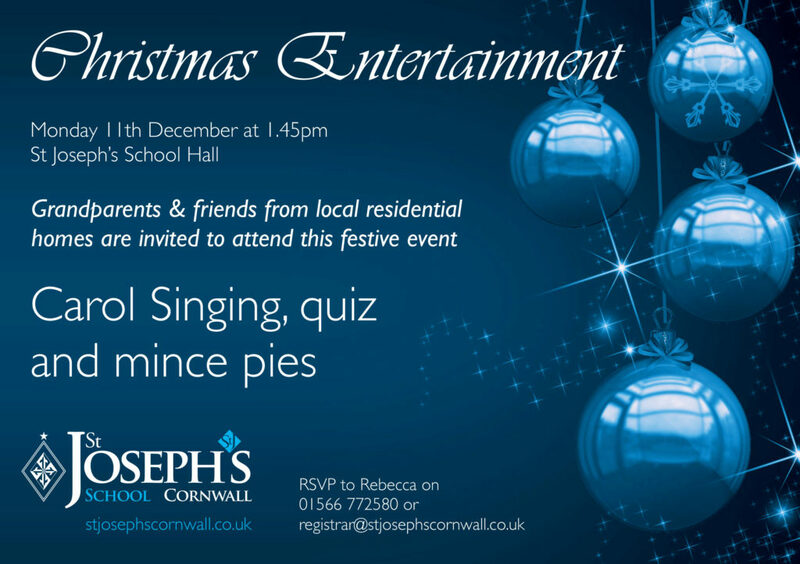 Thank you to all who took part in the raffle on the evening, we raised £100 for Cornwall Air Ambulance. A special thank you must go to parents for their support and encouragement of the students. Without this we would not have such a strong Music Department, and for this I am very grateful. 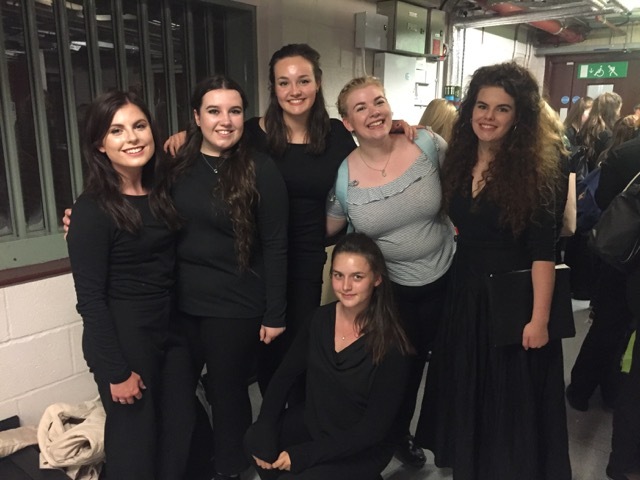 St Joseph’s pupils past and (nearly) present were singing together for the First Night of the Proms at the Royal Albert Hall last week as they took part in the BBC Proms Youth Choir. 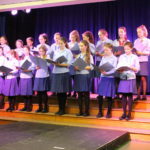 The girls had all been part of St Joseph’s prestigious Canzonetta choir during their time at St Joseph’s, and it was this experience that provided the platform for their selection as part of Cornwall Music Hub. 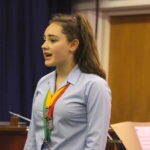 The BBC Proms Youth Choir recruits up to 350 young singers from various choirs and music hubs from every corner of the UK, who then rehearse in their local areas with their own leaders across the year. 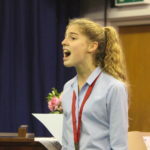 As the performance approaches, the BBC holds a four-day intensive rehearsal residency: this year, 2017 the Proms Youth Choir is made up of singers from the City of Birmingham Symphony Orchestra Youth Choir, University of Birmingham Voices, selected singers from the Cornwall Music Hub, the Black Country Music Education Hubs and the London-based Proms Youth Choir Academy. 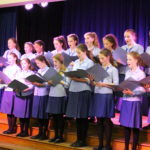 Very well done to all the girls involved, and to Mrs and Mr Mann for their work with the choirs over the years. 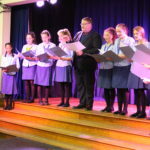 With the appointment of Mr Peter de Blois as St Joseph’s new Director of Music, all involved in the school look forward to a bright musical future for the school.